As I pedaled through town, I felt proud. People were looking at my bike. "Look at that bike, it's a nice one," an older getnleman said to his wife. "Nice bike, mom," a hip young-ish guy said to me and I'm pretty sure he wasn't making fun of me. I just kept pedaling proudly, with my chest puffed out a little. I remember when I was about to turn 10 years old and how important that felt. Double digits, fifth grade, more independence, growing up a little bit, being a decade....it was all so important. I wanted to ask for something meaningful, something that sort of represented all the importance of what turning ten held. After great consideration, I decided to ask for a bike--a fancy, brand-new 10-speed bike. Because I mean a bike, that was my ticket to roam, to explore, to be free. The morning of my 10th birthday, I woke up waiting to feel different. I walked out of my bedroom and my mom told me my birthday present was downstairs. She kept saying "cold" and "warm," "warmer" and "hot!!" to help direct me to my hidden gift. Underneath a heavy comforter with bright blue flowers was my new bike. It was silvery and sleek and amazing. I couldn't stop smiling from ear to ear. My mom helped me get the bike outside and I jumped on in my pajamas and immediately rode it around our condo complex parking lot. The wind blowing my hair felt like freedom (yup no helmets 30 years ago). I pedaled faster and faster. It all felt very important. Thirty years later, two days shy of turning 40 and this particular birthday once again feels really important. Older and wiser, peri-menopausal, more independent children, setting boundaries, acceptance, being four decades...it is all so important. Normally I am not a big birthday person, seriously. However, with this being another important birthday, I am sort of acting like Oprah did on her 50th. Remember the cake, the show and the celebrity guests? Well, John Travolta isn't going to be singing to me or anything like that. But I wanted to make sure that Tim knew, this is sort of a big year and a big deal to me. Last year he forgot my birthday and it didn't really bother me at all, but that was last year. "I want you to remember my birthday this year," I told him last week. "I would also like a present, it doesn't have to be big, but just something that lets me know you love me honey." Well, Tim listened. He bought me a gift and gave it to me early, last Friday evening. A new bike! He bought me a ticket to roam, to explore, to be free. 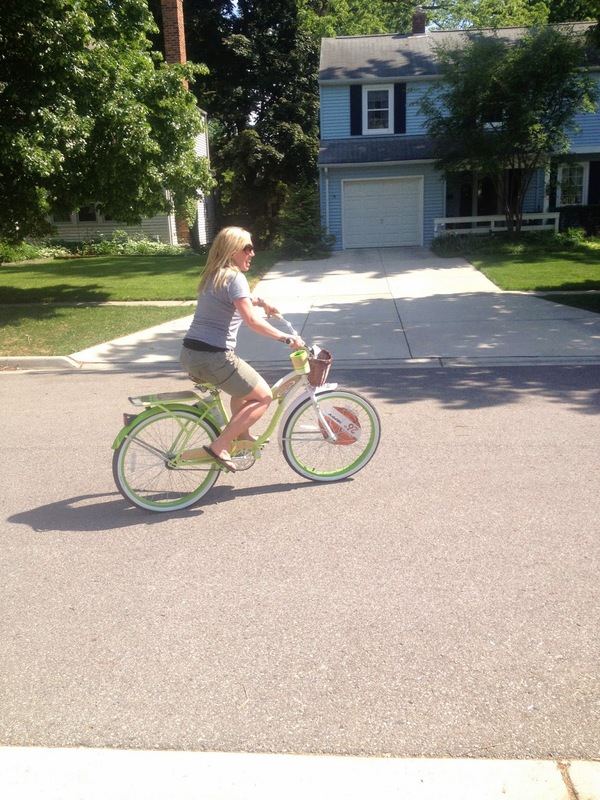 I immediately jumped on the bike and rode around our street. 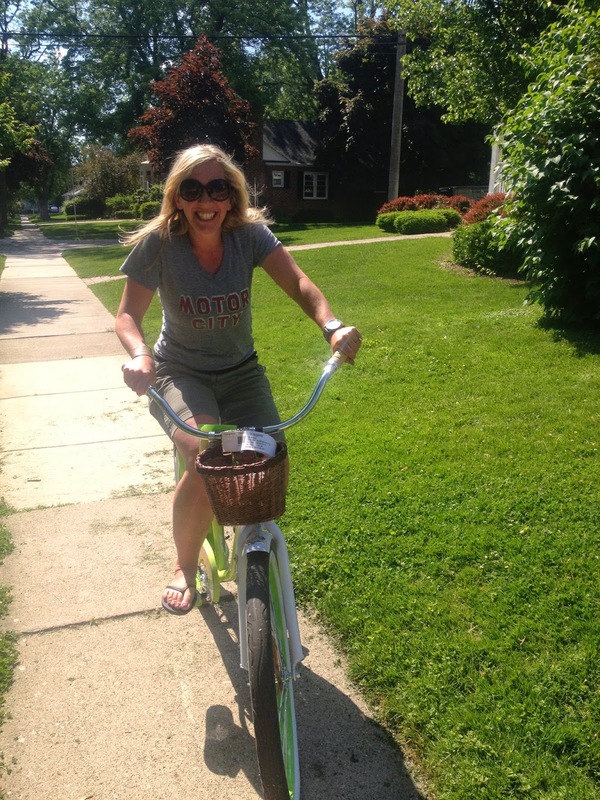 I sort of feel like I look like a Muppet on a bike. Do you remember the scene from The Great Muppet Caper when Miss Piggy and Kermit are riding bikes in the park? That's what I think I kind of look like. HA! 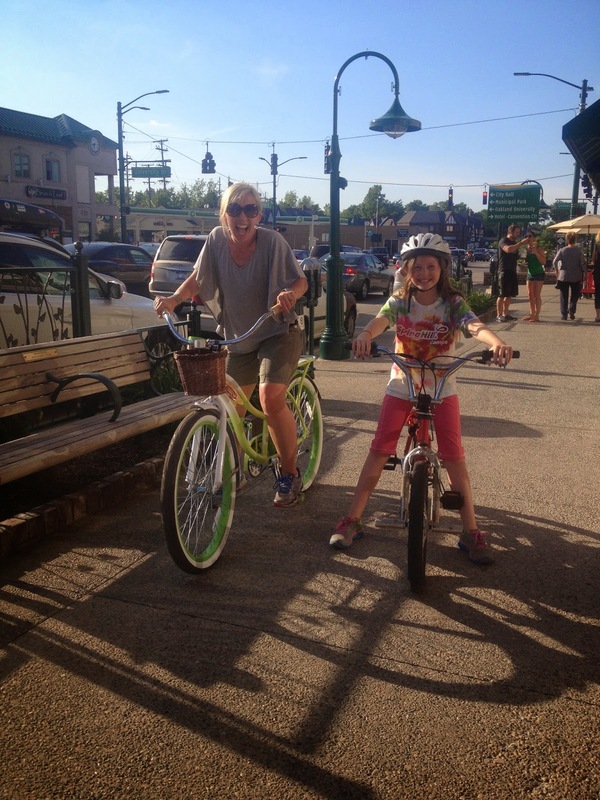 Later that evening, Lucy (who is the very important age of 10) and I rode our bikes into our little town. Up and down the streets with all the people out on a beautiful early summer Friday evening. The wind blowing my hair felt like freedom. My daughter pedaling by my side, it all felt very important. I have fallen in love so much with this bike it's possibly getting a little weird. I feel a little like Pee Wee Herman and how much he loved his bike, remember? (Full disclosure, I love Pee Wee Herman, for real, is that strange?) I won't put my bike in the garage because it's just too damn dirty in there. I even named my bike...Tallulah (the name I have always loved (waaaay before Demi and Bruce) after the badass Tallulah Bankhead, but Tim didn't feel comfortable naming Lucy Tallulah). This bike reminds me to not take myself too seriously. It reminds me how freeing it is to feel the wind on your face and the power in your legs. It reminds me how much fun it is to explore and roam. The bike reminds me that all these things are important. It's the perfect gift for 40. Because I mentioned it, I thought I'd show you the clip of Pee-Wee and his bike. I love this post! 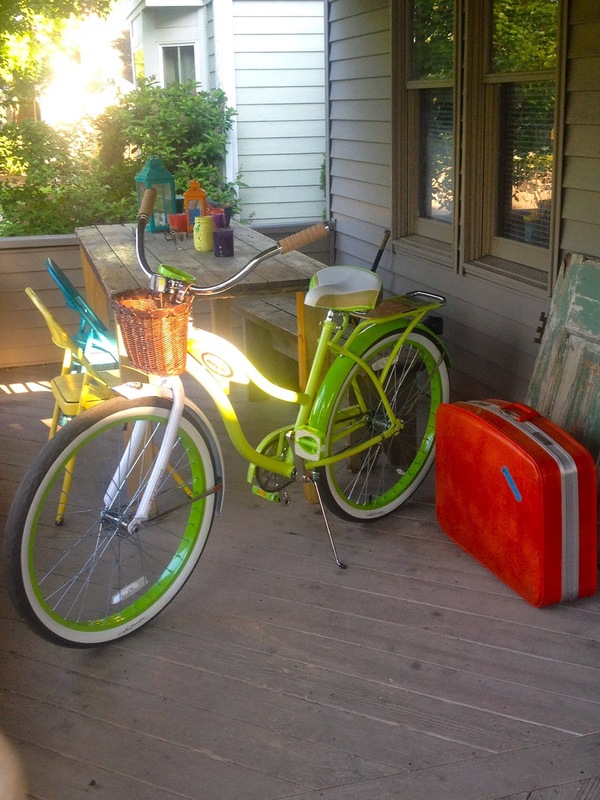 I have been wanting to get a bike like that since we moved here! You have (again) inspired me. Also, love the PeeWee's Big Adventure! Hey Erin! I know you ;) You need to get one! We could all ride together! I adore this! Seriously. A bike for your 10th birthday and your 40th? Perfection. Also, I'm in love with your bike. I really want to finally get my family all decked out in bikes, but that's such a big financial commitment. How wonderful! That is a truly gorgeous bike, for a gorgeous gal.